The Three Things Consulting team have diverse experience, expertise and skills that can be used by organizations and governments interested in positive youth and community development. With a background in management and development, our team members have founded organizations, worked for local, national and international organizations, been active in grassroots activities, and volunteer roles across Canada. With a level of cultural competency and understanding of the core issues facing communities, it allows for our team to build successful relationships and support others in identifying achievable goals and objectives. We learned early on that we don’t know – nor can we do, everything. That said after years of working with amazing individuals across Canada, in every province and Territory and within many First Nations, we knew that for added strength we simply had to reach out. In doing so we have developed an impressive group of consultants: some of the finest (in our opinion) people in their areas of focus and expertise to work on collaborative projects and activities. These allies include Elders, clinicians, evaluators, programmers, educators, youth facilitators and content experts on issues such as gender based programming, education, Indigenous issues, trauma, suicide, violence prevention and substance use and abuse. If we don’t have the skills in-house we will identify and secure those to work alongside us on your project. 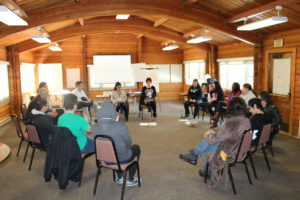 In doing so – we have been able to develop teams to work on projects with communities and organizations such as Canadian Feed The Children, The Canadian Women’s Foundation, Paul First Nation, Alberta Human Services, the Students Commission of Canada, Rideau Hall Foundation and Pathways to Education Canada. We are stronger together. These are just some of our best assets – our team of consultants. Our team is also always growing. Should you be interested in being a Three Things Consultant please contact Pytor Hodgson via e-mail at pytor@3things.ca. Please visit the Things About Us part of our site to learn more about who we are and what Three Things Consulting aims to accomplish. Through Pytor’s own journey and experience he has been a role model, mentor and coach to young people from more than 20 years. These relationships, many from his first days working with young people are sustained by his ability to relate, support and offer genuine guidance and care, often rooted from the path he’s walked. Clean and sober, Pytor works diligently today to find balance in the teachings from his Elders on the power and value of living within the sacred medicine wheel: taking care of his emotional, mental, physical and spiritual well-being. Pytor is called up to offer organizations and government clients the opportunity to engage, support or build capacity in young people in truly innovative ways. Using approaches that are rooted in the Sacred Seven Grandfather Teachings and other teachings, Indigenous and not, Pytor designs projects, processes and programs that challenge youth or adults minds, hearts and spirits while ensuring they can walk forward in a good way. With limited jargon and trending terminology Pytor demonstrates how respectful approaches built upon common sense and traditional ways can continue to prove to be successful in interventions, engagement, support and capacity building for youth, young adults, families, professionals and communities. Shannon Monk Payne is the founder and CEO of Sakatay Global, and creator of the Circle Approach to Cultural Confidence™. She has been a leader and innovator in Indigenous education for almost 35 years and has an extensive background in teaching and policy. She is known for creating welcoming, safe and comfortable learning environments that help people understand how to build positive relationships with Indigenous people and communities in Canada. 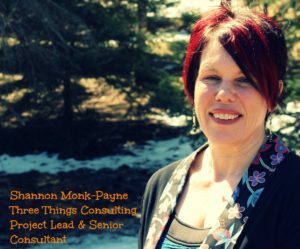 As a Senior Consultant since 2015, Shannon has collaborated and led several high-profile projects with Three Things Consulting to enhance Indigenous education and build relationships between Indigenous and non-Indigenous organizations. Her work with our clients include the Rideau Hall Foundation, Pathways to Education Canada and the City of Kingston and our work with them is strengthened by her experience, wisdom and passion for creating space for meaningful dialogue and relationship building. This all said, the most important role for Shannon is that of a mother and grandmother, and she wants to leave the world a better place for our next generations. Shannon believes we all have gifts that can contribute to humanity. Shannon’s academic accreditation includes a Graduate Degree in Public Administration with a focus on Indigenous Policy and Governance from Queen's University, a Bachelor of Arts in Native Studies and Psychology, and a Bachelor of Education from Brandon University. Shannon’s professional background is in education, working primarily with First Nations. She is of Mi'kmaq and Celtic descent and a member of St Theresa Point First Nation, an Oji-Cree fly-in community in Northern Manitoba. She has taught all grades from Kindergarten to grade 10, mainly on reserve, including time as a Teaching Principal and Special Needs Coordinator (Manitoba). As well, Shannon has worked as an Adult Educator, Trainer, and Employment Counsellor (Nova Scotia), a university Learning Skills Counsellor (York University), a Resource Centre Executive Director, and Aboriginal Education Coordinator (Northwest Territories). 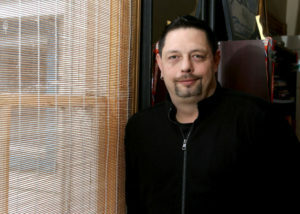 Shannon was employed with the Assembly of First Nations for six years as a First Nations Education Policy and Research Analyst and Community Liaison for Residential School Survivors (Alberta, Ontario, Manitoba, Northwest Territories, Yukon Territory). Shannon’s experience engaging school survivors in over 60 First Nations communities as part of the Personal Credits process under the Indian Residential School Settlement Agreement provided excellent insight into how best to engage in challenging discussions with adults with diverse, and often painful lived experiences. Shannon has a wide-ranging background in community involvement and volunteerism and currently sits as a member of Teach for Canada's Advisory Circle, the Katarokwi Grandmothers Council, the Kingston Indigenous Health Circle, and the Ontario Native Women's Association (ONWA) - Kingston Thunder Women. Zoey Roy, one of our Community Engagement Consultants is an award-winning spoken word poet, performing artist, orator, filmmaker, and social entrepreneur based out of Saskatoon, SK. A member of Peter Ballantyne Cree Nation, Zoey is Cree, Dene and Metis. 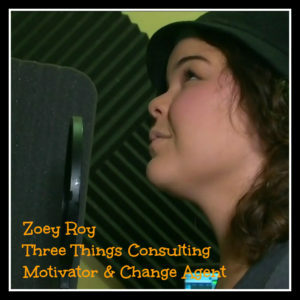 Zoey has worked with Three Things Consulting since 2013 on various projects, including our work to prevent the trafficking of girls and women, youth in government care, facilitation and engagement of youth and adult allies. Zoey and Pytor often deliver keynote addresses together – sharing, amongst other things, how younger people and those with a few more trips around the sun can collaborate in good, respectful and meaningful ways. Always busy, Zoey is also Film Producer with Soul Datta Productions, a Teaching Musician with the National Arts Centre’s Music Alive Program and a recent graduate of the University of Saskatchewan where she now holds a Bachelor of Education. Three Things Consulting was privileged to nominate and then see Zoey be named a 2016 Indspire Laureate, being honoured with the Indspire Metis Youth Recipient Award. Zoey is the author of Homecoming, a poetic memoir, and is currently developing her directional debut in a project with the National Film Board. Saimaniq Temela, originally from Kimmirut, Nunavut is a 19-year-old graduate of high school in Kingston, ON. Since he was 12 years old, Saimaniq has been part of the sail training program run by Brigantine Inc. in Kingston, Ontario and was selected to represent Canada during a three-week voyage aboard the Shabab of Oman, a 285-feet-long sail training vessel operated by the Royal Navy of Oman. Saimaniq is a recognized community volunteer and in early 2016 was honoured for his role in sailing when he was the named the Youth Sail Trainer of the Year by Sail Training International (STI); the youngest ever and first Inuk to be honoured with this award. 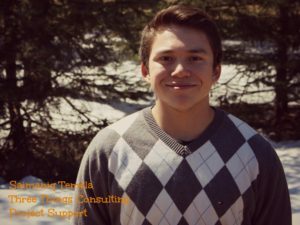 As a project support staff for Three Things Consulting, Saimaniq provides insight and expertise from a youth and northern perspective. He helps ensure our work is relevant to young people and he provides insight and guidance as we work with our northern partners. He authors blogs, helps design other communication materials and provides logistical support on our projects. 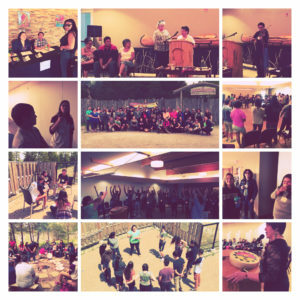 Saimaniq was part of the team that organized and facilitated Enhancing Indigenous Education through Co-creation events, The Gathering of Youth Wisdom and the Co-Creators Gathering, convened by the Rideau Hall Foundation. He supported the engagement of 36 Indigenous youth from every province and territory and 36 leaders in Indigenous education and philanthropy to explore how to enhance the education of Indigenous youth across Canada. Saimaniq led facilitator trainings and provided support to Three Things Consulting clients such as Pathways to Education Canada and the Students Commission of Canada. Saimaniq is one of the team members leading the Kingston Talking Circles, a component of the City of Kingston’s Engage for Change program, building awareness about Indigenous People in Kingston. In the summer of 2017, Saimaniq will facilitate a leadership program and support 45 Indigenous youth with two other facilitators for Msit No’Kmaq: All My Relations. Together they will sail from Halifax, Nova Scotia across the Atlantic Ocean to France while delivering a cultural and leadership program to help the youth further their understanding of their culture while gaining essential skills for their adulthood. Saimaniq will be attending St. Lawrence College in the fall of 2017 in the Child and Youth Care Program to further build his skills and knowledge in youth work and possibly pursue a career in the youth sector. Crystal McConaghy is the Executive Assistant to the CEO of Three Things Consulting. 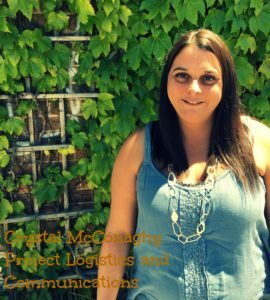 In addition to this role Crystal provides communications and logistical management for Three Things Consulting projects, often the primary contact for our program participants, clients and partners. With a degree in Sociology from Queen’s University Crystal worked in post-secondary education for six years, with a focus on adult education. Crystal supported students as they transitioned into back into college, ensuring the transition back to the school was as easy as possible. Born and raised in Kingston, Ontario Crystal remains a resident of the city with her partner and 13-year-old daughter.